Tampa Bay is a beautiful place to live! For people relocating to the area, it can be challenging to know just where "Tampa Bay, Florida" is located. Here is some hopefully helpful information for you. Tampa Bay Area - While "definitions" of the Tampa Bay area differ, the term most commonly refers to the three principal cities of Tampa, St. Petersburg, and Clearwater. The two primary counties in the area are Hillsborough and Pinellas. At times, parts of Pasco and Hernando counties are also included when referencing the Tampa Bay area. Tampa Bay - Tampa Bay is an estuary and harbour on the west coast of Florida along the Gulf of Mexico. Tampa, Clearwater, and St. Petersburg are the three largest cities adjacent to Tampa Bay. 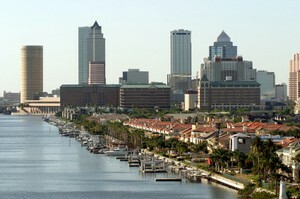 Tampa - As well as the county seat of Hillsborough County, Tampa is the largest city in the Tampa Bay area. Generally, Tampa is divided into the areas of Downtown Tampa, South Tampa, North Tampa, and New Tampa. West Tampa is one of Tampa's six historic districts which also include Hampton Terrace, Hyde Park, Seminole Heights, Tampa Heights, and Ybor City. City of Tampa - While "Tampa" usually refers to most of Hillsborough County, the City of Tampa does not. There are areas of Tampa that are not in the corporate limits of the City of Tampa. New Tampa was annexed in 1988 becoming part of the City of Tampa. The term New Tampa often refers to unincorporated areas as well. Unincorporated areas include Brandon, Carrollwood, and Westchase. Temple Terrace - Temple Terrace is one of the three incorporated municipalities in Hillsborough County. Named for the Temple orange, Temple Terrace is adjacent to Tampa and not far from Tampa's University of South Florida. Tampa's Surrounding Areas - In addition to the cities and unincorporated areas mentioned above, some of the areas surrounding Tampa include Plant City, Riverview, and Apollo Beach. St Petersburg - Located on a peninsula between Tampa Bay and the Gulf of Mexico, St. Petersburg is Florida's fourth largest city. 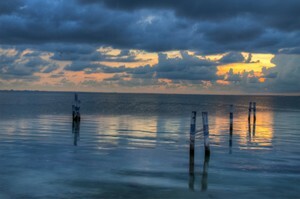 With 361 days of sunshine a year, St. Pete is nicknamed "The Sunshine City". St Petersburg is in Pinellas County. Clearwater - Clearwater is the smallest of the three principal cities in the Tampa Bay Area and the county seat of Pinellas County. 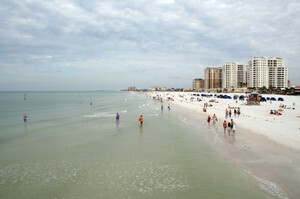 In January, 2013, Clearwater Beach was voted "Best Beach Town in Florida" by USA Today readers. Until January, 2012, the Tampa Bay Times Forum was actually named the St. Pete Times Forum even though located in downtown Tampa. It's no wonder that online information about the Tampa Bay Area can be confusing. When hiring a Tampa Bay REALTOR®, it is important to find one that understands the area as well as the real estate process. Linda Holloway would welcome the opportunity to help you find Your Next Home in Tampa Bay! Which Tampa Bay Lifestyle will you enjoy?